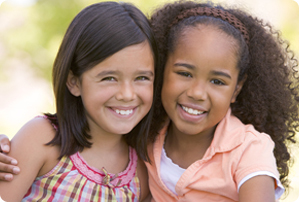 Because there are several ways that kids can benefit from seeing an orthodontist, the American Association of Orthodontists recommends that your child be seen as early as age 7. In early treatment, we will monitor your child’s growth patterns and begin braces and orthodontic treatment at the appropriate time. Typically, orthodontic treatment, if necessary, needs to be started in an ideal timeframe, which varies from patient to patient. Early orthodontic intervention may include removable or fixed appliances that can provide more room for crowded, erupting teeth; maintain space for teeth that have not yet come in; reduce the possibility of tooth extraction; and reduce the overall amount of time needed for treatment. To find out if your child is a candidate for early treatment, schedule a complimentary, no-obligation Shafer Smile Assessment or call 217.356.9595 to speak with a friendly Shafer orthodontics team member.